I’m very pleased to welcome the lovely Alexia Casale to the blog today. 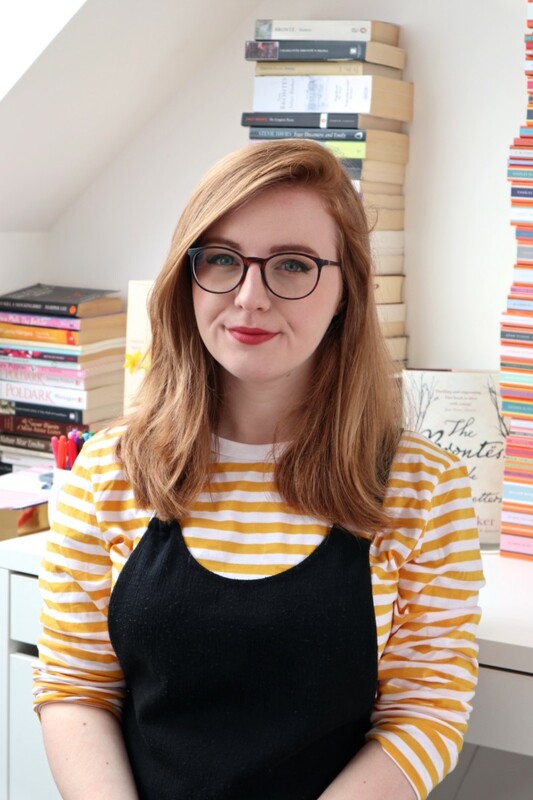 Alexia wrote The Bone Dragon which I adored and she has written a guest post for me to share today. Enjoy! Most people have hundreds if not thousands of daydreams every day. Some you enjoy once and never return to. Some keep coming back again and again. I suspect that this is how most books start: with a daydream that just won’t let go. One that you return to so often that it gradually expands and develops into a whole world. I’ve got lots of recurring daydreams. Some are single-scenes, while other have long and complicated storylines. Some are no more than individual incidents or images. Some are to do with more abstract ideas and still others are about relationships. Often when a daydream recurs to the point that it becomes a potential book idea, I’ll find that the characters have shifted a little, the nature of what they’re after has become more defined and the story has grown far more convincing. These are the daydreams that I spend the most time on, trying to work out what core element or elements make the daydream worth all that time and effort. As I start to understand why I love the daydream, I start discarding minor elements that don’t support the core of the story. When one of these daydreams finally feels complete, it’s either time to reject it as a potential book… or to start working to get it down on paper. In terms of which to do, the first thing I consider is whether the story and the people in it will appeal to anyone but me. Some daydreams are ways of working out things in our own lives, and not all of those are going to be meaningful or interesting to any other person on the planet. If an idea isn’t too much about my own life and my own needs, then I start to ask myself if the story is big enough, exciting enough… not just for readers to like it but for me to spend hundreds if not thousands of hours on it. And finally I ask myself ‘is it ready’? I often get lost when I start writing too early: when I haven’t given the idea long enough to ‘marinate’ in my head. Can I really explain in a few sentences what the heart of the book is? Can I clearly and succinctly describe how the plot works? Do I understand why all the things in the book happen? Is some of it all a bit foggy and vague or do I know how every part connects to every other part? Am I attached to scenes without knowing why? If I can’t answer any of those questions in a satisfactory way, the idea probably needs longer in my head before I start putting words down on paper because otherwise I may end up with a lot of material I care about but shouldn’t use if I want to write the best book possible. Anyway, this is the point where an idea becomes a serious prospect as a book. Before I know for sure, I have to polish the idea up, shape the corners, work out what happens in the gaps between bits of the story… As I work on these things, it starts to become clear if the idea will actually work on paper. At the moment I’m having fun with idea development and considering all sorts of projects – many of which I will probably end up writing eventually as they’ve already stood the test of time floating around my imagination. But the question right now is ‘What is Book 3 going to be?’ And I sort of know, though I haven’t made a final, firm decision. It’s the idea that’s felt ready for a while: the one I’m confident about because I can spell out why I’m writing it, how it works, what the high points are, where the fun is… There are still gaps and issues but I already *know* that none of them are insurmountable: there is enough already in place to write a book I believe will be worth reading. Above all, it’s the book that’s been waiting to be written: the one that has had its hand in the air for a while. The feeling that this idea has been ‘waiting’ is something I can actually put my finger on because it’s measurable in the way I daydream: this daydream is the one that’s there before all the others whenever I let my mind roam. The rest are ‘on and off’ dreams: I keep abandoning them when I get to a tricky point I haven’t worked out yet. And that tells me they’re not ready, partly because they’re not developed enough but mostly because I’m not committed enough to figuring out those tricky bits… yet. When that starts to change – when I stick at a new idea long enough to work out the problems – I’ll know that idea is inching to the front of the queue. So if you’re not sure which idea you should turn into a book, start looking at your daydreams. If there isn’t one dream that features more than all the others, one you get being pulled back to, maybe the ideas you have aren’t ready yet. That said, sometimes you have to *make* ideas ready by sitting down and hammering out the tricky bits of your plot, fixing up the plot-holes and working out how to make it all believable. This means sticking with an idea, pursuing it, hounding it until you corner it and can force it to make itself clear… or you realise that, instead of gaining on it, it’s escaping from you. But you won’t know if it’s one you need to let get away until you’ve chased it with a reasonable degree of commitment. At the end of the day, you have to passionate about a book to have a good shot at writing it well. You’ll hate it so violently and so often before you’re done that unless there’s a lot of love underneath you won’t end up finishing. So never write a book purely because you think it will hit a trend or because you think ‘it’s the right book for X stage in my career’: write the book you care about. Think about it like a romantic relationship. You can have great chemistry but if you never bother to get to know each other, the relationship will fizzle out… So it is with a great idea that stays vague and formless: good for the odd date/daydream but not for a marriage/book. Alternatively, you might feel that an idea is a good prospect, if boring: if you press ahead, you may end up with part of a book or even a whole book, but the chances that it’ll be really good aren’t great. OR… chemistry can be accompanied by an interest in getting to know each other, little by little, more and more until you know enough to take a leap… provided the chemistry is still there of course. There is always a leap and it’s important to feel a real drive to take it, otherwise you’re unlikely to make it to the other side of the hundreds, if not thousands, of hours needed to write a novel. So check your chemistry and your understanding of your book idea before you commit to it, but remember that both need work to develop in the first place. In other words, go forth and daydream. A lot. About The Bone Dragon: Evie’s shattered ribs have been a secret for the last four years. Now she has found the strength to tell her adoptive parents, and the physical traces of her past are fixed – the only remaining signs a scar on her side and a fragment of bone taken home from the hospital, which her uncle Ben helps her to carve into a dragon as a sign of her strength. Soon this ivory talisman begins to come to life at night, offering wisdom and encouragement in roaming dreams of smoke and moonlight that come to feel ever more real. As Evie grows stronger there remains one problem her new parents can’t fix for her: a revenge that must be taken. And it seems that the Dragon is the one to take it. This subtly unsettling novel is told from the viewpoint of a fourteen-year-old girl damaged by a past she can’t talk about, in a hypnotic narrative that, while giving increasing insight, also becomes increasingly unreliable. 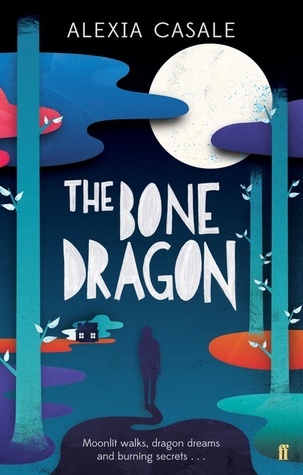 A blend of psychological thriller and fairytale, The Bone Dragon explores the fragile boundaries between real life and fantasy, and the darkest corners of the human mind. This is such a brilliant guest post Alexia! I’m always daydreaming ideas and trying to form them into books. Writing down random notes I’ve thought of and wondering how I can incorporate them into stories. Your book looks so interesting, will definitely check it out! I’m loving the UKYA tour so far and I think this was possibly my favourite. I still haven’t read The Bone Dragon but I REALLY want to!